The exhibition Second Life currently on view at the Slought Foundation in Philadelphia features three unrealized—or as it argues “unfinalized”—urban projects as a way of investigating the idea of “thresholds.” The exhibit utilizes Russian Mikhail Bakhtin’s concept of "unfinalized" as a continual dialogue and process of becoming. Slought’s Director Aaron Levy had a previous relationship with all of the projects and/or artists in the gallery and is careful to highlight their displacement in the gallery not as a restatement of the artists’ intentions but as work that enacts such threshold experiences—psychologically, spatially, and socially. Slought also calls the works on display “projects” (and not an exhibit) to downplay their esthetic merit. They are brought back to life, not in situ as they were, but as models and images on a wall. The three projects, all re-purposed using original documents and plans, are Dennis Oppenheim’s Guarded Land Area (1970), Krzysztof Wodiczko’s City Hall Tower Illumination (1987) and Lebbeus Woods's Tales from the Tectonic Forest (2012) intended for the Venice Architecture Biennale. Each of the projects engages the viewer in a tantalizing way that suggests ways forward through participation, interactivity, as well as the current realities of migration and survival. The Lebbeus Woods project, for example, was intended to surround the classical U.S. pavilion in Venice at the architecture biennale, but here encircles the Slought Foundation and acts as a threshold into the intention of the exhibit inside the gallery. Woods project created a forest of trees, some of which would hold experimental architecture works, that invited the public into a thick labyrinth of experimental architecture in the spirit of Wood's own powerful oeuvre of utopias and dystopias. That created a world with rare moments of insight, light, and one that people could internalize and lead to changes in their lives. Channeling Bakhtian's threshold describes moments of crises and rupture as a way of creating “potential transformations of self, society and history.” This is a chance to see a Lebbeus Woods, Oppenheim, and Wodiczko installation; it is an active and compelling statement of thought and empowerment. Don’t visit Second Life unless you want to be challenged. Second Life is on view through April 27, 2017. Room East, a small gallery at the Lower East Side, presented one of the more focused works by Lebbeus Woods that included both his manifestos, ideology, drawings, and conversations as artifacts. 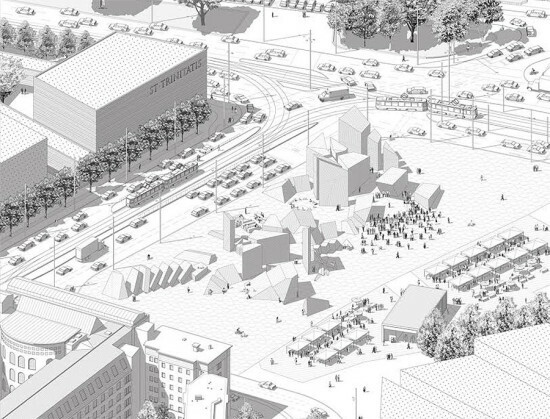 He was invited by a few like-minded architects from Zagreb, Croatia, to come to their city and—in a way—help the standoff in architecture as the result of politics. Room East presents models such as “Zagreb Free Zone Model” made in collaboration with a colleague. Other graphic works complement a fixation with form that is not standard and expected. 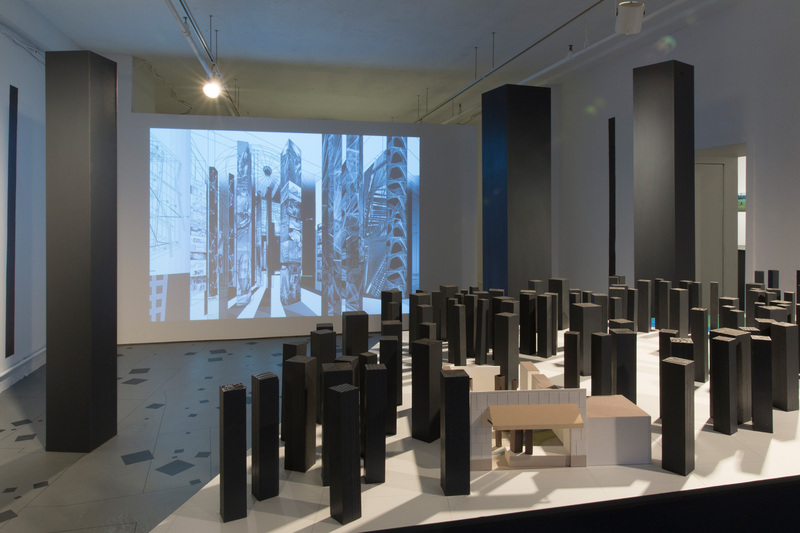 In a video presented at the exhibition, Woods himself says that he wanted to form invisible social forces of a city that are apparent, but not built in form. To further this aim, Zagreb Free Zone sketchbooks are also on display. They are perhaps the ones that open up emotional learning of Woods being in a foreign country and contributing to the struggle of their own architects. It is a distinct and curious moment in time to observe the ideas of visionary and pioneer work that an architect left. Woods did not depict an optimistic future and utopian architecture for us to dream about. Woods spent his career crafting images in pencil and ink and in models of assumedly realistic conditions of human life that is distinct from the imaginary and widespread utopian dreams. Think of movies such as 12 Monkeys (the design for which Woods was ripped off by Terry Gilliam and then won a legal battle over the abuse of his work). Then take in dark futurism in films such as Resident Evil with Bruce Willis and Milla Jovovich, and The Dark Star by John Carpenter. In all of them, such as in the work shown at Room East gallery, the future is not depicted as bright and rosy. Instead walking into the gallery we are presented with a project for a city of Zagreb itself in 1991 at the beginning of last European war in the Balkans. Woods became a cult figure in places that felt they were left off the map of progress and needed someone to bring architectural struggles with society in conflict as form. This is perhaps why Woods’s premonitions in ink appear distinct from his near contemporary visionaries like Yona Friedman and Claude Parent. The drawings by Woods are dark to begin with and they are more punk than hippy, cynical and warning, rather than happy and optimistic. This dark genre is very well known to American underground scene of graphic novels, and it secured him the attuned attention from the countries that were in the dark situation politically, or perhaps ideologically, such as former Yugoslavia and the Middle East. Woods is adored there as he kept living the way as to how to work out of obscurity, national class inequality, sidelined off-centrism and born out of irrelevance. Wood’s exhibit at the gallery carried well his demeanor, managing to have his work exhibited beyond the bounds of nostalgia, bitterness or melancholy, and as art. The gallery claims that the exhibit is designed according to Woods own instruction. 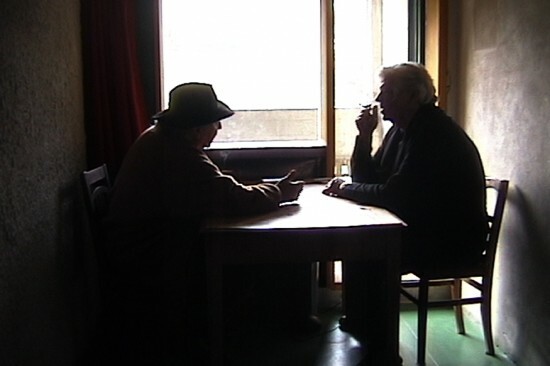 The exhibition also shows exchanges in notes and letters from Woods referring to Leo Modrčin, his student coming from Croatia and instrumental figure in landing Woods the commission for imagining the Zagreb Free Zone project in 1991. 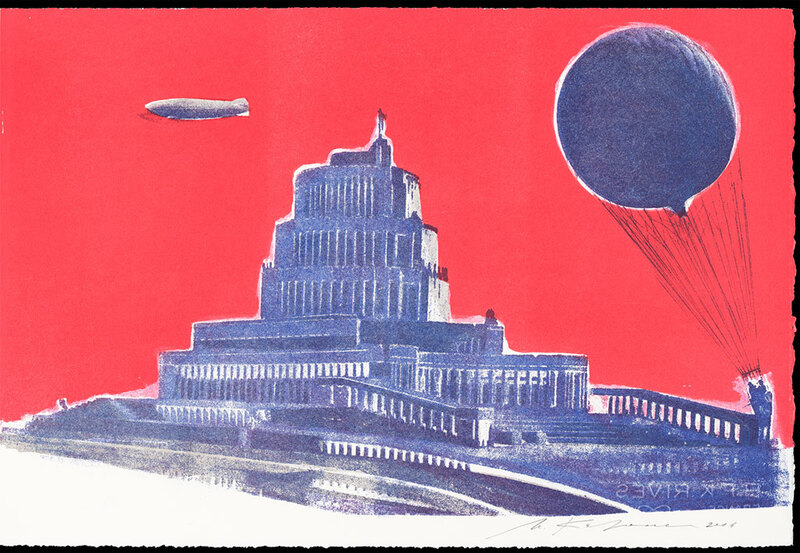 This exhibit also shows new and promising interest in architectural work that is graphic and at the forefront of social critique, or perhaps it may be art. Meaning that Western architects, such as Woods, can do work with the conditions in the East that are complementary to their social conditions and not neocolonial. Woods was very conscious of this, as is evident in the interview he did with Fedja Vukić, also on display at the exhibition. The document presents the unease of language used in the exchange between Woods and Vukić as many words are crossed out and edited for clarity. For New York’s nomads and residents in arts and architecture, the visit to this exhibition offers two major opportunities. One, there is a view of the work of an extraordinary architect engaged in a region that would otherwise be a black hole of global interest, but is a source for inspiring ambitions. Two, it is the vision for humanity that may inspire domestic architecture in New York by addressing living standards for the unprivileged class and focus on extraordinary design of those spaces. In that way Woods’s work is not just a graphic delivery, but also a crafted program to take in seriously and work with them when the conditions for Woods’s kind of reality become attainable. The exhibition Lebbeus Woods: Zagreb Free Zone was on view April 19 to May 22, 2016. All works presented at Room East gallery are from the Estate of Lebbeus Woods. 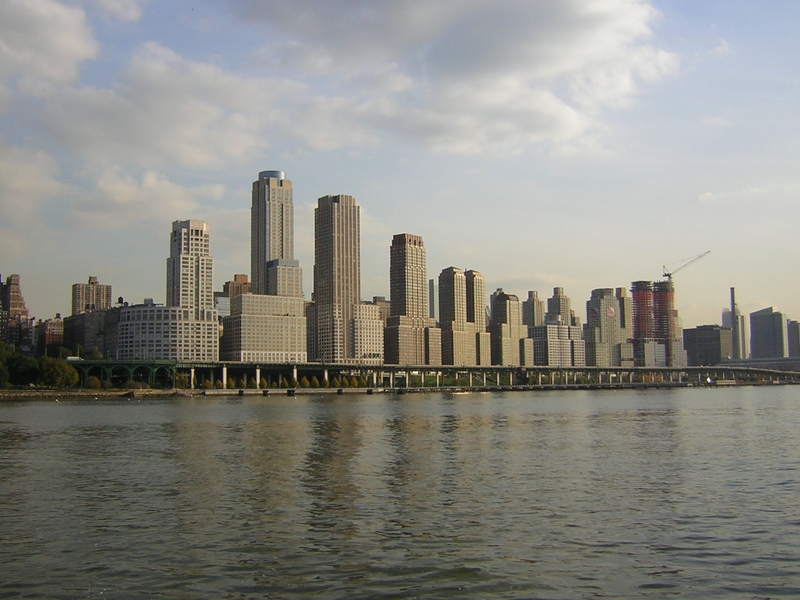 Srdjan Jovanovic Weiss is an architect living and working in New York. 31 years ago a certain property developer was causing a stir in New York City. Surprise, surprise, it was a certain Mr. Trump. Controversial and as egotistical as ever (what has changed?) Trump proposed his self-prescribed "Trump City": an array of developments for the Lincoln Square neighborhood of the Upper West Side of Manhattan. The project and its name were thankfully curtailed in 1991 and finally realized as "Riverside South" due to fervent opposition that involved community groups, architects and politicians. “That was a war to the death—with everybody,” Trump later said. Of those architects, three were Lebbeus Woods, Michael Sorkin, and John Young. In 1989 they showcased their alternative scheme on Robert Lipsyte's Eleventh Hour as a documentary set 21 years into the future, now six years ago now in 2010 (feel old yet?). Titled the Michelin Guide to New York City: 2010, the trio's film shows the Upper West Side as a place called "Timesquare," a place that in their eyes that is "the first true realization of a city district conceived in multiple layers, rather than as a series of individual buildings." https://www.youtube.com/watch?v=fI1FZ_xBNvU Described in the films commentary as "radical" yet "derided" in the hypothetical public eye as "science-fiction," Timsquare is meant to be a lively space. It was intended to be an alternative cityscape, one that defied convention, filled with tramways, "party walls," and New York's social underclass. This message however, is somewhat eclipsed by the eerie music that accompanies it alongside Woods' drawings which depict a much more sinister environment. “We’re talking about an absolute nightmare—an absolute nightmare,” said Batya Lewton, vice president of the Coalition for a Livable West Side. But she wasn't talking about Woods, Sorkin and Young's plan. Instead, Lewton, whose coalition formed in 1981, was referring to the much more real prospect of Trump City. “They’re asking for, unbelievably, 2,300 more parking spaces in an area that is just so overwhelmed with traffic,” she added. Dubbing Trump as the "Prince of self indulgence," Sorkin argued that Woods, Young and himself were reacting to Trump's proposal to "erect a 150-story high monument to himself." Building on this, Woods added that the scheme was merely an "experiment" that imagined a future that wasn't depicted in the usual technical medium of plans, sections, and elevations. Timesquare was meant to be departed from the surrounding "greed-based proposals" and something that wasn't profitable. "I don't want [Trump's] money and in fact I wouldn't accept it," Woods implored. In a retrospective blog post on the trio's counterproposal to Trump's plans, Woods, who passed away in 2010, spoke of the scheme's intended inhabitants. "One has to resist pitying those squatters. Pity is a treacherous emotion, for everyone involved. Better to respect them. Their way of life, as chosen as any in the capitalist jungle (don’t imagine that the rich are really free), included the certainty that they would one day have to move on, probably very quickly. They were prepared and no doubt found other ‘undeveloped’ spaces to settle down in for the next timeframe, whatever that would work out to be. On the other hand, their scattering was traumatizing and unnecessarily brutal. And another thing: their little community had a spirit of invention impossible to achieve in the emotionally arid and highly regimented skyscraper landscape that was soon to come." 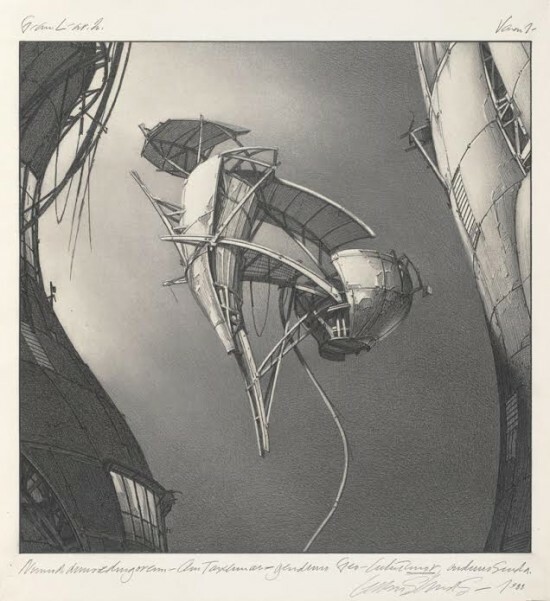 Lebbeus Woods was a powerful presence in New York City and in the world of architectural thinking and expression. 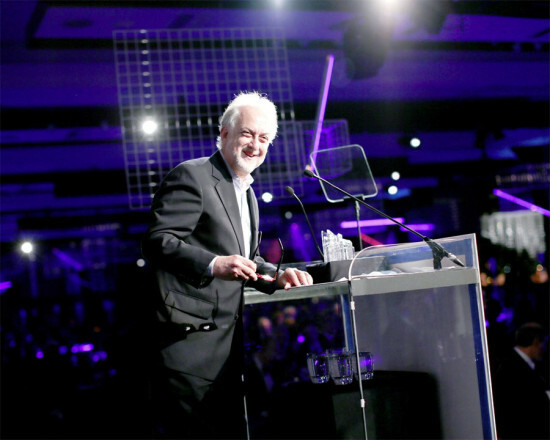 It's still unsettling to think he is no longer here to push and provoke the world of architecture towards a more thoughtful and challenging practice. Though his ethical voice (his projects and writing can still be explored at lebbeuswoods.wordpress.com) and the demanding worlds he created inside his drawings will no longer confront the major issues of the day we still have his drawings to remind us of his thinking and vision. 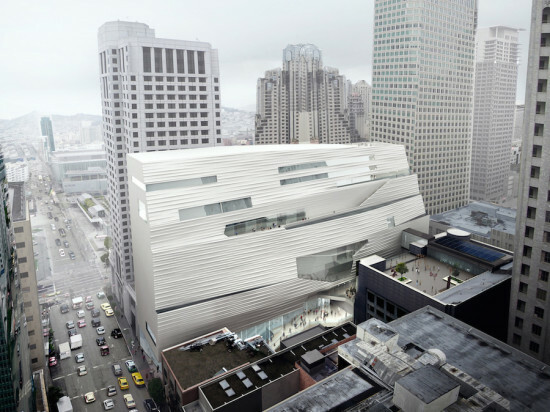 The first major retrospective of Woods career will open at the Drawing Center in New York on April 16, 2014 and was organized by the San Francisco Museum of Modern Art and is currently in view at the Eli and Edythe Broad Art Museum at Michigan State University (through March 2, 2014). 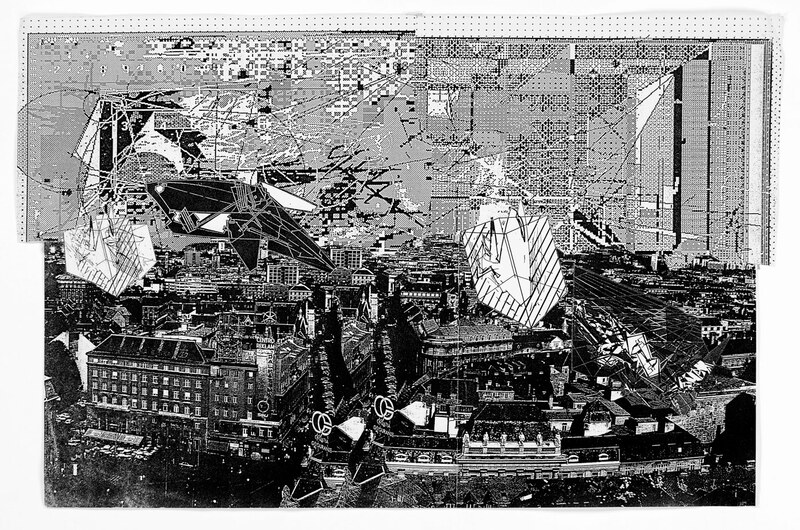 To accompany the exhibit Lebbeus Woods: Architect, the Drawing Center will publish a 160 catalogue in their Drawing Papers series that will include essays by Jennifer Dunlop Fletcher and Joseph Becker, as well as an introduction by Brett Littman. 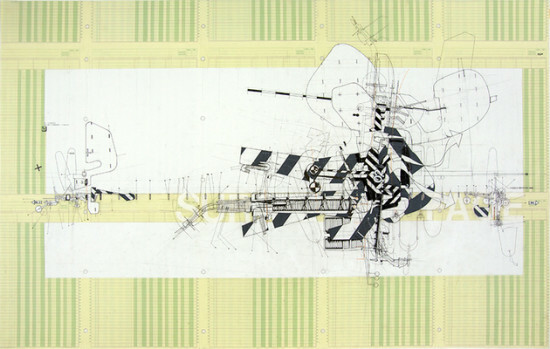 The Drawing Center will also host a conversation between curator Florence Ostende and artist Franz Erhard Walther on aesthetics, space, and architecture as part of the ART2 program on Friday, April 18 at 6:30 and an evening screening of the film Lebbeus Woods and Steven Holl: The Practice of Architecture followed by a conversation between architect Steven Holl and producer Michael Blackwood (TBA). It will certainly be the most exciting exhibition on the Spring architecture calendar and The Architect's Newspaper is proud to be the media sponsor. 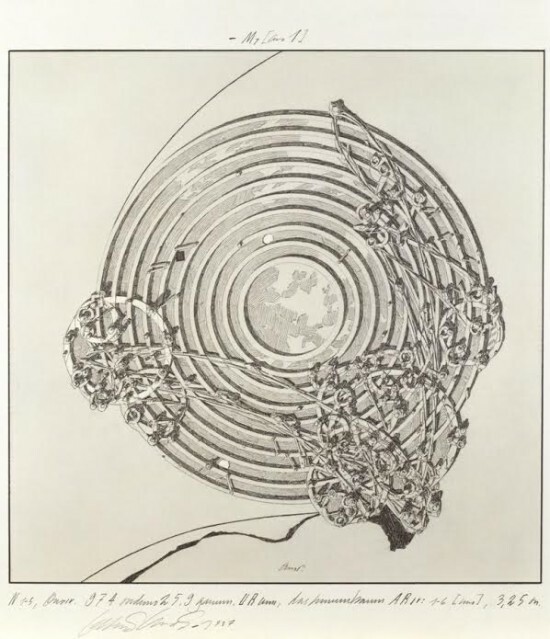 Acknowledging the parallels between society's physical and psychological constructions, architect Lebbeus Woods (1940 - 2012) depicted a career-long narrative of how these constructions transform our being. 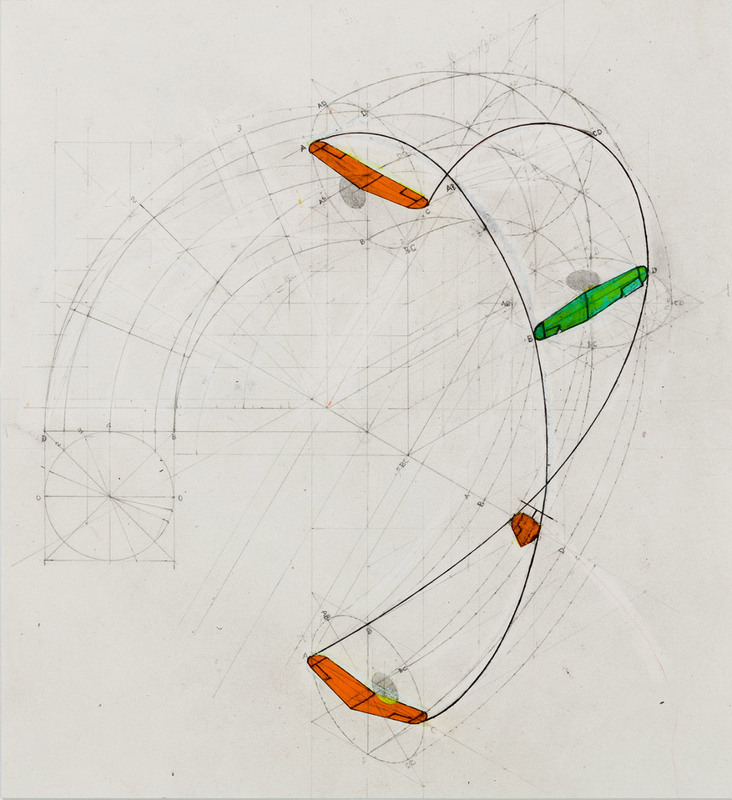 Working mostly with pencil on paper, Woods created an oeuvre of complex worlds—at times abstract and at times explicit—that present shifts, cycles, and repetitions within the built environment. His timeless architecture is not in a particular style or in response to a singular moment in the field; rather, it offers an opportunity to consider how built forms are transformative for the individual and the collective, and how one person contributes to the development and mutation of the built world. See more images from the museum's impressive Woods' collection below. 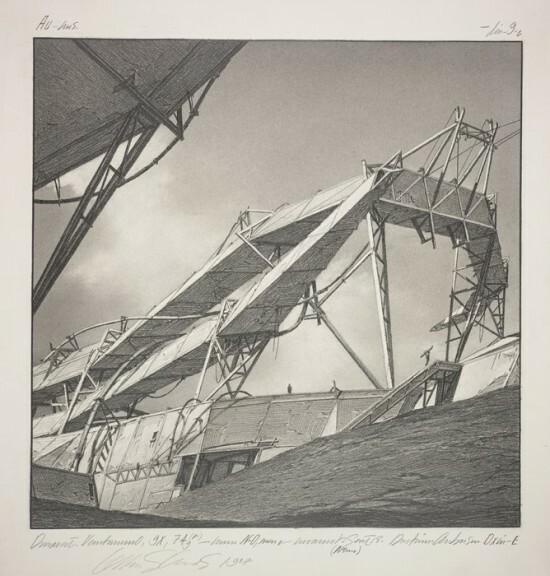 The outpouring of positive and thoughtful reflections by architects around the world to the passing of Lebbeus Woods on social networking sites has been gratifying to those who long recognized his importance to contemporary culture. We will have an obituary by Peter Cook in the next print edition of the paper but a Woods fan Carlos Brillembourg brought a fascinating talk between Raimund Abraham and Woods to our attention. In fact Woods' Blog was one of the most compelling architecture sites on the web and if you have never read it do yourself a favor and spend a few hours reading his posts.